“Fateful detours.” This term was new to me when writing coach Roger Leslie used it in reference to his own writing path. I am well acquainted with life’s detours that take us places we never considered going. That is what happened to Leslie. “I have wanted to be a writer since I was thirteen. I had no intention of doing anything except being a wrier.” He wanted to write novels, such as those written by some of his favorite authors. F. Scott Fitzgerald who wrote The Great Gatsby, particularly influenced him, along with Harper Lee of To Kill a Mockingbird fame, and Carson McCullers, author of The Heart is a Lonely Hunter. While teaching language arts he completed an independent master’s degree in creative writing through Antioch University in Ohio. “When I completed that I thought I was done with school. I just wanted to focus on my writing. At the time I had one non-fiction book out. I had been trying for years to launch my writing career, but it just wasn’t getting much traction. “In response to my declaration, I felt a nudge to trust this detour. So I accepted the librarian job, and enrolled immediately at the University of Houston — Clear Lake to be certified in library science. I thought going back to school would detain my writing dream. Instead, it jumpstarted it. “Two professors ran the library science department. One got me a job as a reviewer for Booklist, the review journal of the American Library Association. 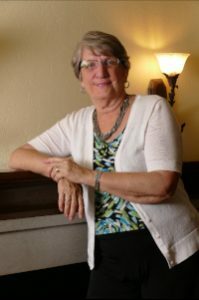 The other approached me about co-authoring a book with her. That project immediately turned into a three-book series by a major publishing house. Within a few months of following my fateful detour, I was being published biweekly, with a byline after every review, in one of the most prestigious journals in the nation, and I had a three-book contract. “The detour continued to pay off. As a librarian, I attended annual library conferences. Nearly every year I would meet publishers who approached me about writing books for them. That’s how I ended up with so many published works in such a vast array of genres. He believes now is the very best time for any writer to get into this industry. Today there are so many options for getting published. Even more important, those options now include quality control in the self-publishing industy that enables writers who pursue self-publication to create product as excellent as traditionally published books. Now that Leslie has achieved his goal of making a living from his writing, he’s in the process of launching a publishing business. Paradise Publishing will be looking for books that help people live the life they dream and books that give people courage to discover God in their own way. He hasn’t owned a bookstore (yet), but his other experiences have helped him produce plenty of material to stock the shelves of bookstores. Fateful detours – a helpful interpretation of the twists and turns of life. 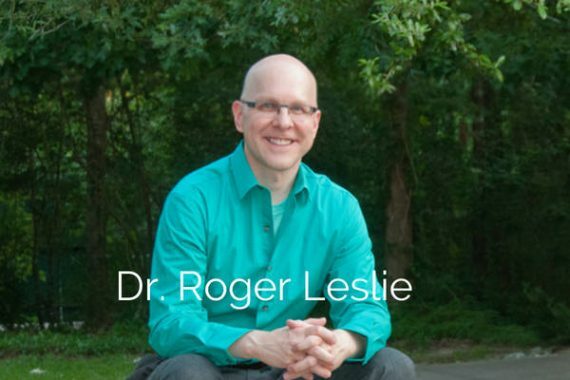 If you need help with a writing project consider asking Roger Lesliefor assistance. He is a frequent workshop presenter at writer conferences he’s available to edit your manuscript or to coach you through any and every stage of writing and publishing. What detours have you encountered as you’ve pursued your dreams?